Trained professionals are much in demand in merchant navy profession, which requires competent seafarers to man the merchant vessels travelling in the ocean. 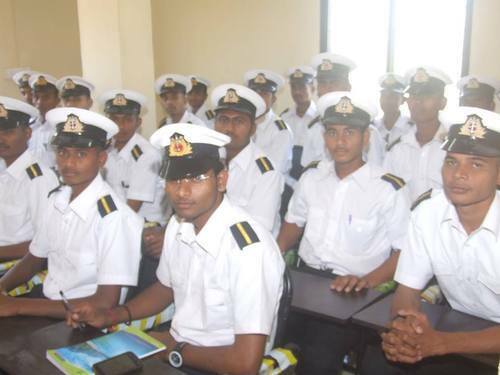 Consequently, maritime education has given way to a large industry in this field to produce well-trained professionals.To make their career in merchant navy more and more youths are taking up relevant courses at their nearby marine training academy where they learn to deal with various challenges associated with merchant vessels, besides their efficient and safe operations. Particularly in India, the merchant marine service providers include passenger, container and cargo ships and these ships are operated by various shipping companies. These ships require an entire crew which include navigators and marine engineers to ensure their efficient and safe operation. To impart training in this field at least one marine training academy has been established in almost every coastal city. Considering that India has a vast coastline, transportation by sea has acquired significant place for doing international trade. Mumbai, the financial capital of India is one of the most important coastal cities which has witnessed trading through sea route since the ancient times. Consequently, there are multiple merchant navy colleges in Mumbai where the aspirants are being trained to meet the requirements of the criteria set by various international conventions with respect to operating merchant vessels in overseas routes. The courses offered at merchant navy colleges in Mumbai also include special sessions on enhancing safety of ships during their operation at sea and safeguarding the sea against pollution. Moreover the professionals successfully completing their courses at these colleges are considered to be competent professionals. These colleges are considered best in the world since Indian marine officers and crew are much in demand across the world, despite tuff competition. With the growing trade momentum through sea route, the demand for well-trained marine professionals is also increasing which has opened a huge window of opportunity for the marine training academies and colleges across the country.